My understanding of social science leads me to believe that human consciousness is largely determined by their social relationships which, through meaningful roles, are bound into and defined by the current cultural scenario. I allowed all documentation defining me as a legal person to lapse so that my roles were no longer part of the contemporary moral-intellectual and politic-economic structure of the welfare-warfare state. 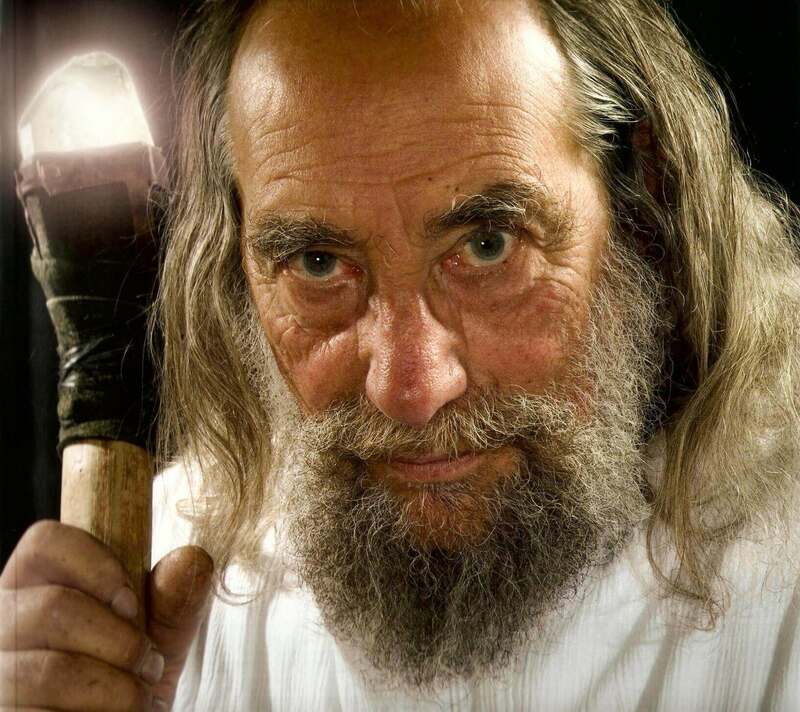 In 1970 I became the travelling Wizard of the World University Service and 1971 the Union Council of Melbourne University appointed me their Cosmologer, Living work of Art and Prophet/Shaman. At the same time I persuaded WUS Australia to donate my living body to the National Gallery of Victoria. I allowed all documents based on the assumption that I was a “real” person to lapse and became a new conceptual art form. I was thus free from definition and control as both an artist and secular humanist. I can best describe the image I have been projecting since as a conflation of the following roles: a Primitive Shaman in a state of ecstatic trance; a Prophet outside the temple thundering invective against the clergy corrupted by materialistic secular humanism; a Philosopher in the agora outlining his rational relativistic explanation of everything; a Tory Mob Orator on a soap box in the street praising British Imperialism and condemning both international capitalism and various forms of nationalistic socialism as outdated Whig ideology; finally a Stand-up Comedian raising morale amongst the increasingly depressed bourgeoisie. All these modes of being are aspects of the role-complex of a living work of art entitled “The Wizard”. My attempts to save the world from a combination of immoral rationality and irrational morality may not succeed but, like Luther, I cannot accept the alternative of keeping quiet and acquiescing in the rampant stupidity and corruption all around me. However unlike Luther I am not a deadly-earnest constipated protester.